Photo: Loose flashing around the base of a chimney, at the roof line, can allow for water penetration. Damage to interior structures and finishes may occur. In this post we discuss how to investigate a property for “good bones” as opposed to considering a purchase that may turn out to be a bottomless money pit. In particular, we focus on the #1 issue that afflicts houses in our geographic region. Our west coast climate is a temperate rain forest. That is, rain is our constant state. Sunshine is the much beloved exception to the rule. As a result, our homes are under constant attack from water ingress and moisture related issues. If the house has not had an adequate building envelope (or protective raincoat) over it then there will be all manner of settlement, rot and mold related damage. If these element are at the end of their service life, or have failed, then there is high probability that there is substantial damage to the interior building components. This may result in ‘gutting’ the interior wall to expose and remove all the affected material. This activity alone may well extend beyond what was ever envisioned. What is the condition and age of the roof? Any sagging or soft spots observed on the roof? Is there an adequate roof overhang over the exterior walls? Do the soffit and facia show signs of distress? Is the flashing cracked or open seamed at the through-roof plumbing stacks, power masts, chimney or skylights? If the gutters discharge below grade, then the condition of the buried drainage pipe is unknown. 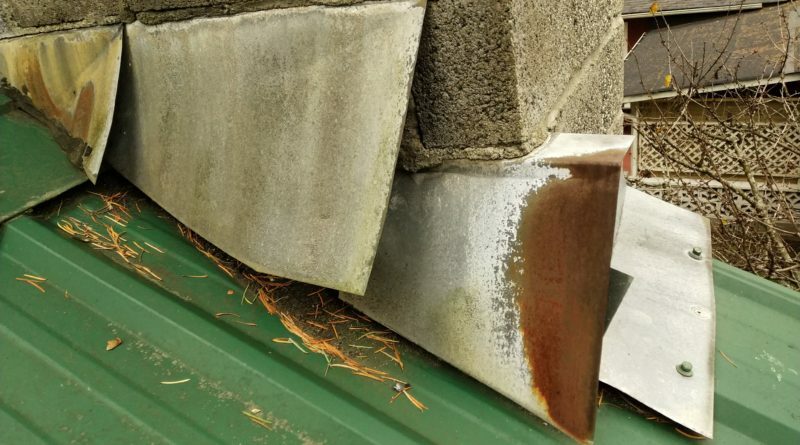 If the gutters discharge at grade, with no extension to direct the flow away from the house, then there may be foundation impacts such as settlement. The exterior lot development should always keep in mind that water is to be directed away from the house structure. Never towards it. As well, constant contact of the roof or walls with wet soils, leaves or branches does nothing for the well-being of the structure. Instead, moss, rot and ladders for pests are created, all of which degrade the surface finishes over time. Does the lot sloped toward the house? Is there puddling or water stains in the garage or carport? Are there trees, shrubs or planters right against the exterior walls? These elements will react to soils degradation and movement, which in itself is hastened by erosion from rain and its surface water run-off. Cracks are definite signs of past soil activity. Foundation cracks in particular may be costly issues to re-mediate. Any cracks in the exterior foundation walls? Are there cracks in the perimeter sidewalks or patios? They may be more than just a trip hazard! Do you see a noticeable side-to-side movement, uplift or settlement of these elements? This is where to look for evidence of damage to wooden structural elements. In particular, check the condition of the sheathing and trusses. Any sagging noted from the exterior inspection of the roof should be explored more fully here. Does the underside of the roof sheathing appear stained, water damaged or moldy? Is there a musty smell? If the attic space is not at the same temperature as the outside air, then the roof ventilation is not effective. This is another area that is most useful to highlight water or moisture damage. Fortunately this area readily highlights water ingress issues, but is often ignored. Any evidence of water penetration or staining? Does it feel dank or smell musty? Any ‘rising damp’ on the perimeter foundation wall or the interior interior supports? If the building envelope has failed, it will reflect upon the ceiling. It pays to look up at the ceiling for water related issues. You are no longer dealing with end of service life, but system failure at this point. Are there ceiling stains, especially around lighting fixtures? Does the ceiling drywall have budges or tape separation at joints? Interior pipes and fixtures can leak and may be confused with rain water damage. Always make the determination if it is an exterior (rain) or interior (plumbing) issue. Look below sinks, vanities and counters for leaks. Check hoses and connections to appliances. Is the toilet bowl loose and leaking around the base? Does the bathtub enclosure or shower stall leak? Supply and effluent piping at the end of its service life? You can tell by looking at the materials used. Galvanized and cast iron service piping are obsolete are failure-prone. Inspecting for water ingress and damage is one of the most important items a buyer or home owner can do for themselves. If issues are found, then they should be addressed immediately. The Law of Entropy applies… things will only get worse!